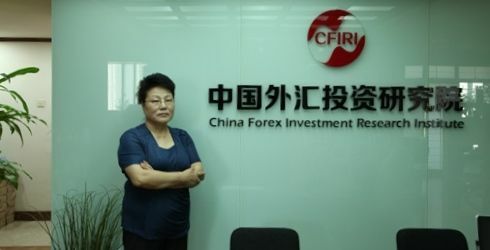 The next translation I present is from a speech by Tan Ya Ling, President of the China Foreign Exchange Investment Research Institute, given on a gold conference May 7, 2013 Beijing. Probably it’s not the whole speech as the title of the original article mentions oil, but the article itself doesn’t. Currency Wars by Song Hongbing, is a bestseller in China, reportedly selling over 200,000 copies in addition to an estimated 400,000 pirated copies in circulation and is reportedly being read by many senior level government and business leaders in China. Originally published in 2007 the book gained a resurgence in 2009 and is seen as a prominent exponent of a recently emerged genre labeled “economic nationalist” literature. …The book looks back at history and argues that fiatcurrency itself is a conspiracy; it sees in the abolition of representative currency and the installment of fiat currency a struggle between the “banking clique” and the governments of the western nations, ending in the victory of the former. It advises the Chinese government to keep a vigilant eye on China’s currency and instate a representative currency. The book, published in 2007, also correctly described and warned of the various forms of derivative speculation used by WallStreet which eventually became the causes of massive margin call sell offs and the stock market crash in late 2008. She pointed out that liquidity has contributed to the special situation now. The Gold market has gone thru periods of i) actual need and then ii) investment need was the most important factor, and has now entered the period where speculation is the main thing. Investing in gold needs a well-crafted strategy (with specific goals); just like economic development in China, we also need to find the model that is suitable for China, using suitably-adapted investment thinking, and only then can we establish ourselves in the gold market, and have control over it. The recent report from the European Council has transpired worries on the recovery of the Euro area…. Some analysts think, investor confidence is essential for the gold market, and this is why Euro area economic problems have led to sluggish precious metal markets. … she personally very much agrees with the view that the disintegration of the Euro area is unavoidable, but we do need to rationally see what this would really mean for the gold price… If the Euro area falls into an economic crisis, then the creditor nations would definitely like them to sell their gold reserves, just like how the news came out on Cyprus. … for/if the Euro area to fall into crisis, then the forces / operators behind will definitely tempt them to sell their gold reserves. If this happens, the position of the USA will become even stronger. But can the USD keep its shine forever thus? The risk of the USD getting out of control still exists, and the USD has its cyclical strong and week trends. It is very likely that the world monetary system will need a restructuring, and then gold pricing will go back to the USD; but we must not forget what this gold price will mean for the USD! We must not confuse the strength/weakness of the USD with the USD monetary regime, or the policies of the USA in this area. For now, the USD cannot be replaced in the short term; in the intermediate term, the chance of getting the USD replaced isn’t that great either, but in the long term, the USD will need to / will like to be ready to have a replacement for itself. The gold market consists of spot and futures, as well as denomination in RMB and USD, but why do the Chinese people only like to hoard physical gold, and not futures? If too much gold is hoarded, this will invite the greed of other nations and they will come for it prepared. For now, our physical market has become very developed, but even in view of such prices and great future trends at the same time, we still need other ‘accessory/ancillary mechanisms’ to be in place and in functioning proportions in order to invest in physical gold safely. Investing in gold is a strategic game with strategic goals. We cannot just look at the price and shift asset allocations. We need to follow and act according to the developments and changes in the markets; after the growth of the physical market, the futures market without doubt is now a better choice. Gold is very much intimately connected to the whole financial markets and macro-economic dynamics. When we invest, we need to think about / develop our own theoretical principles, and only after we have found our own thinking with respect to the needs of China, can we establish our presence in the gold market, and preside over it without getting thrown back out.